Hand, face, and body lotion – aren’t these tools used by girly men? I mean a real man washes his hands with gasoline, showers under a waterfall only after the hunt, and eats his meat raw. OK, so I enjoy a medium raw steak – but when it comes to skincare I do believe a man needs to take care of this essential body system. Failure to do so – especially if abused – can lead to very painful consequences later on in life. The problem: Most guys do not think about skin lotions & skin conditioners. We know more about the engine of a 2000 Sprint ST than the chemicals in our hand lotion (if we even own any). “Skincare products” just don’t have a very manly feel, no matter how hard advertisers try. But the reality of it is that most men with good skin past the age of 40 are using something to help it stay that way. There’s no one male skincare product that will make your skin look great forever, but there are definitely things you can be doing to keep yourself a little smoother and cleaner day-to-day. Help! What do all these chemical names mean? The first thing you notice about most men’s skincare products is the long string of words you don’t understand. They’re supposed to be great for your skin but mostly they just sound like your senior chem paper. Don’t panic. Alcohols: There’s a broad family of alcohols used in skin products. Some are made from ethyl alcohol and are astringents — chemicals that scour your skin. These can be harsh and shouldn’t be used in more than very small quantities. 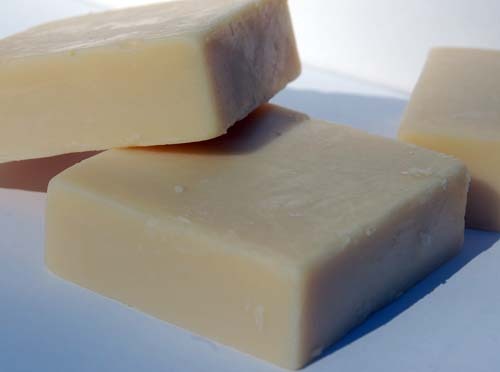 Milder “fatty” alcohols like lanolin (the chemical that gives sheep’s wool its distinctive scent and water-resistance) help strengthen and moisturize skin. Alpha hydroxy acids: AHAs are a mild acid that help clear away dead skin cells and smooth your skin out. They’re naturally found in a lot of fruit products. Because they’re very mild they work better when they’re applied regularly rather than as emergency treatment. Antioxidants: We’ll try to keep it simple. When the collagen in your skin breaks down it forms wrinkles more easily. One of the things that destroys collagen are unstable oxygen molecules called “free radicals” produced by UV light and a lot of kinds of urban pollution. Antioxidants, as the name suggests, help neutralize those oxygen molecules and keep the skin protected. These are some of the best general treatments for men’s skin, and they can be found in literally hundreds of thousands of products, natural and synthetic. Unfortunately not every product tells you what’s in it or why that ingredient is good for your skin. We recommend looking for manufacturers that list both the ingredient (i.e., “apple pressings”) and its function (natural source of AHAs, in this case). The actual tube is usually too small, of course, so check a company’s website out. Generally speaking, if they’re not up front about what’s in the product it’s because they know it’s not that great for you. Soft skin is nice, but no man wants to find himself applying hand moisturizers more often than his wife. For working men there’s an even more practical concern — calluses are there for a reason. You don’t want skin that tears on the job. Most of the non-violent damage to our hands comes from drying and chapping. The oil ducts on our palms and fingers are very small. Since our skin needs oil to stay supple and prevent cracking and chafing, you want a hand product that puts plenty of oil back in — more than you’d want on your face or the rest of your body. Nut oils, dairy, and mild alcohols are all good ingredients in hand creams. Vitamins A & E can help keep the skin feeling softer as well, but you’re really looking for some good sources of fatty oils to keep the dryness off. 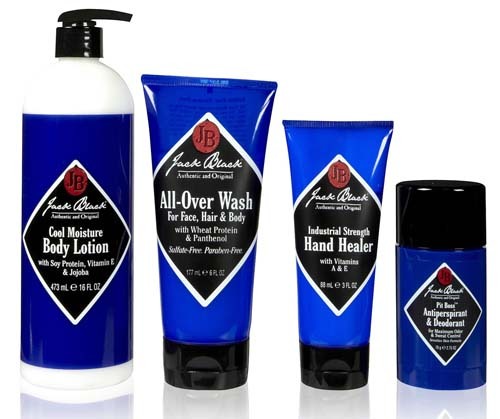 Jack Black makes an excellent hand lotion that I have tried and really like – you can grab it here. Body lotions might be the toughest sell for a lot of men. No one likes chapped hands, and we all know the value of having a clean and healthy-looking face, but why worry about everything under the clothes? Comfort is a big part of it. If you’re blessed with naturally healthy skin you might be all right day to day, but the reality is that a lot of men are enduring itchy, sweaty, or otherwise uncomfortable skin. And it makes you fidget more than you think, so a good skin lotion is helping your nice clothing look better too — or at least get yanked and rumpled a lot less. A good body lotion should have some AHAs or other mild acids to help get rid of dry, dead skin before it causes any itching. You’ll also want a small-molecule oil that can really sink into the skin and stay there. Natural nut oils like shea or jojoba work well. 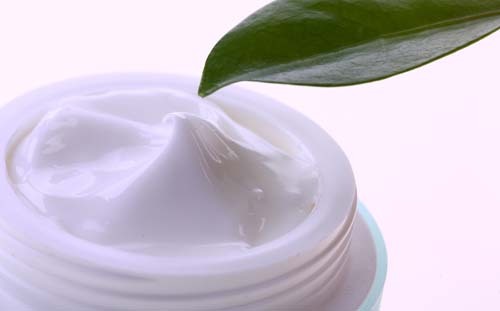 Stay away from petroleum products like Vaseline — the molecules are so large they don’t absorb into the skin, leaving it greasy-feeling and potentially clogging pores as well. Men’s faces can actually wind up needing more care than women’s, at least for regular shavers (and if you don’t at least trim regularly you probably need to start with more basic articles than this one). Shaving is a daily abuse of the skin that can roughen it prematurely if you don’t add a bit of maintenance care in there as well. A good face lotion can go on immediately after you shave, in the place of alcohol-heavy aftershaves that dry the skin out too much. You’re looking for something that will close the pores up and keep your skin oil-free without drying it out. Mint, menthol, and eucalypts all provide a bit of natural astringency without drying you out. Some mild nut oils will moisten the skin but have a small, simple molecular structure that won’t clog pores. If you have trouble with acne or oily skin you can use a product that includes mildly absorbent ingredients like cotton or clay dust. The Cardinal Rule of Men’s Skin Products: Know what’s in it and what it does for you. Skin products aren’t going to cost you anything on the scale of a new suit or even a shirt, but they do add up over time. You want to get something tangible back for that money. If you’re buying a product you should know what the active ingredients are, what sort of chemicals those ingredients are, and what that kind of chemical does to your skin. If that’s not listed or available anywhere on the packaging or the company’s website, you don’t know what you’re spending your money on. Maybe it’s good and maybe it’s not, but regardless of how many stars it gets on Amazon (and companies often pay people to artificially inflate those ratings) you’re still buying a pig in a poke.